“Tim, you look happy this morning!” said the Nurse’s assistant, Natalie, at 5am as she stepped into our room. Tim replied to her after few moments of silent breath “choosing to be happy.” The morning Sun was just beginning to shine through the dark room filed with two sleepless men over the Roosevelt Island and East River behind the simple conversation. 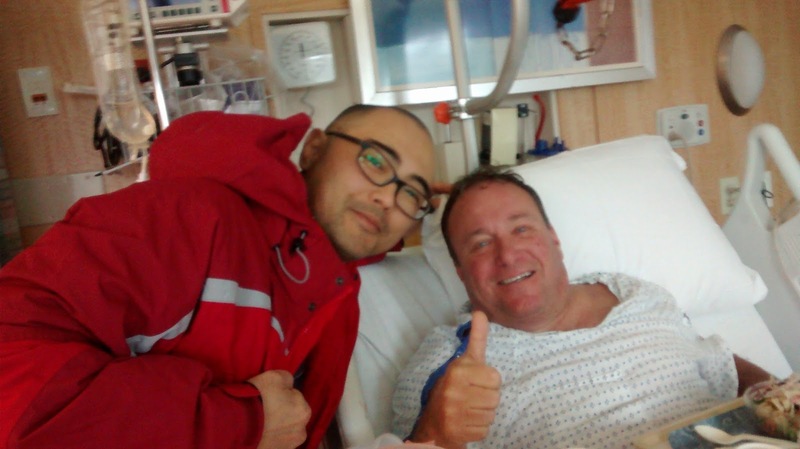 Tim, who was my roommate at the Hospital for Special surgery last night to this morning – was there for double knee surgery and I was there for my total hip replacement. Unlike hip replacement, knee surgery recovery can be very painful and Tim had a quite rough night last night. Not only was he in excruciating pain but his pain medication was not meeting his need for a long time. And in the middle of the night, his IV tube came off which made his bed completely soaked and had to be moved and changed. One thing after another throughout the night happened to him. I would say he was not the kind of person who pretends to be a Happy person, rather he let himself be frustrated at each moment and somehow he has a way of letting it out without becoming rude to anyone in the room. He was definitely not shoving down his frustration but then after a good moment of processing time, he began to choose the happy path. I did not know that was happening in him until the simple conversation this morning. As the word of “choosing to be happy” penetrated into me with the backdrop of how he was dealing with what happened to him throughout the night, Natalie was too taking in the meaning of Tim’s word and emphasizing the “choosing'” by echoing the word a few times as she was nodding. I just got discharged today and he still be there for one more night – I hope his pain lessens little by little.